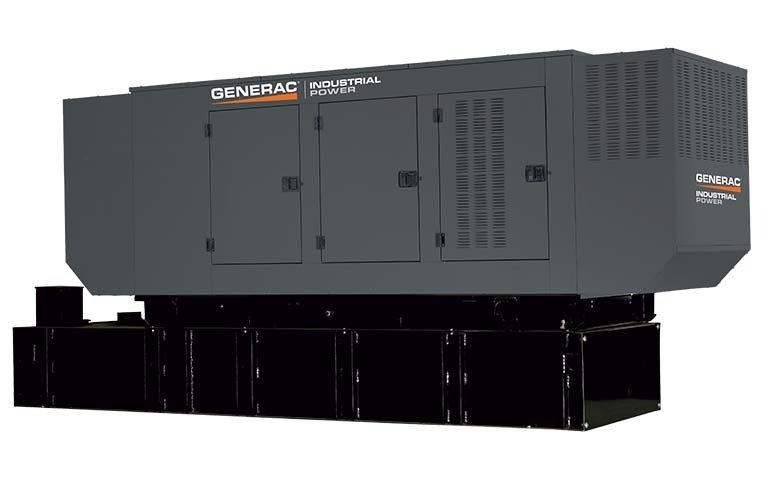 Generac’s MPS is an integrated approach to generator paralleling, and is cost competitive with large single gensets and traditional paralleling systems. Advantages are redundancy, flexibility and scalability in a modular type paralleling system. Superior Reliability – Each genset backs up the others in the system, so critical loads get redundant protection. Built-in redundancy also allows individual units to be taken off-line for routine maintenance while retaining coverage for critical circuits. Scalability – With MPS or the Gemini® Twin Pack, Generac customers can purchase the system they need today, and can add units quickly and easily as they are needed. There’s no need to replace the system if future power requirements exceed projections and no need to over-spend on a larger system that might never be fully utilized. Flexibility – MPS gensets are small enough to fit into spaces that can’t accommodate large units, and they are light enough for rooftop applications. Since MPS modules don’t have to be physically located together, you can better utilize available space. In addition, the space required for switchgear and large external panel boards is eliminated. Serviceability – By using consistently reliable, high volume engines, MPS units are easy to service by qualified engine technicians. Maintenance items and replacement parts are relatively inexpensive and readily available.